The Boston Herald reported today that UMass would be joining the MAC as a football member. The story sounds clear that we are talking a Temple-like arrangement, where UMass would play in the MAC in football but no other sports. They are currently FCS, and would be provisional FBS in '11 and '12 and then compete for the MAC in '13. They are also making arrangements to play at least some home games in Foxboro, where the Patriots play their home games. Speaking on the condition of anonymity, a MAC spokesman would say only that the conference is “exploring” the possibility of adding the Minutemen for football. There are some pluses. First, there would be 14 MAC teams, and an even number would make a lot more sense. Every team could play every other team in their division and 2 cross over games, eliminating a situation like this year where BG and Akron did not play. It opens the MAC up geographically and UMass would (as the article mentions) become only the second FBS football program in Boston. I am sure most MAC fans, who don't like the fact that Temple is a one-sport member (memorably described as "sleeping on the couch") will not want to see UMass get similar accommodations. Would I prefer that Mass and Temple be full MAC members? Sure. But, they're not going to drop their other conferences in basketball, and they don't want to pay to travel their swimming teams all over the Great Lakes. I think they both have the potential to raise the profile and quality of MAC football, and I think that's worth it, on balance. One surprising thing is that there seems to be talk of a number of teams heading up to FBS. I always understood that the requirements for joining FBS had been built to prevent that from happening---they didn't want to demote anyone but they also didn't want any new schools coming up. Clearly, the lure of FBS football is very strong, because a commitment like this comes with a huge price tag. They must want it pretty bad. Coach Orr, ending a four-day period of unprecedented media availability, held a regular press briefing yesterday. I listened to it, and found it pretty interesting. A few things. He says he is a big picture guy, and that he thinks we are making progress. While we are 1-6, we still have 24 more games to play, which is pretty mind-boggling when you think about it. So, he sees that the team still has a lot to play for. Much of the press conference centered on our shooting woes. He says that we are running good offense and getting good shots, and that they are being taken by people who can shoot the ball, and they will eventually start to go in. He says guys are in the gym working on their shots...it is just something that isn't happening right now. Someone asked him about self-fulfilling prophecies, and he is really one big on one kind of prophecy, although he conceded that if shots were falling you'd find yourself more confident. He thought we played better in every game at Detroit, and that we played the kind of defense we needed against Albany, but hurt ourselves with poor rebounding. (Quick note, Coach Orr is even talking a little bit like a newfangled tempo-free stats guy when he talks about the number of offensive rebounds we get in the context of the number of shots we missed, which is exactly how it should be looked at). He cited several players as putting together some decent minutes. Overall, he is optimistic that in the big picture the team is making progress. He notes that it is hard to improve during games because of the pressure of winning and losing, but that the team has all week now to practice and run through specific issues leading up to the MSU game. Speaking of which....Coach Orr might be funny in private, but he is pretty serious publicly. He was asked how his team was going to prepare for the Izzone, and he said "where would we go to simulate that?" which was actually pretty funny. One last thing. He has said several times that he prefers to have a set starting lineup, yet has used 6 lineups in 7 games this season. Beyond that, as I noted Sunday, the playing time patterns are all over the place. A guy will get huge minutes in one game and then be in single digits the next game. I just think he is really searching to find out what is going to work. He is getting uneven performances from a lot of the young guys, which you expect. They are great one game, and then lost the next. So, that's how the Coach feels about 25% into this season. Nowhere to go from here but up. 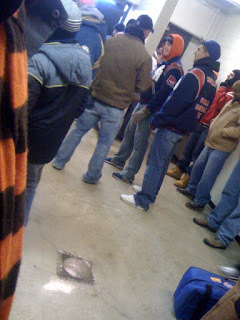 Well, it was certainly a disappointing result today at Calihan Hall. Of all the games this season, I really thought we had a shot at winning this one when we carried the lead into the second half. It was certainly our most complete effort of the season (we even made some shots), and it would have been great to see the guys get rewarded with a victory. As it was, it was another defeat. I did think we played well, and I don't think the season is without hope. But, it would have been nice to get that one. There were a couple key points. The most important was when an intentional foul was called on Cam Black for swinging his elbows on a rebound. It was controversial. I didn't look to me like he was throwing any elbows, but it was in the middle of a bunch of guys. Coach said he didn't think it warranted it, but that it is a point of emphasis for the officials this year, and they called it, and watched replays before confirming the call. Anyway, BG was up 4 when it happened, and after they nailed the FTs they had the ball and got a layup and the game was tied for the first time in about five minutes, and I just think it put Albany back in the game. The other key possession was the last one. Albany kept BG in the game by having a dreadful night at the line, culminating in missing the front end of 1-1s twice in the last minute. The second time BG was down by 1 point and Jakubowski got the rebound and BG had about 11 seconds to get a shot. At this point, a basket of any kind wins the game. As it happened, BG moved the ball around the perimeter and then Dee Brown took a very long 3 and missed everything, and Albany had the win. We didn't have a time out, so we were running off instinct. It just seemed like we didn't try very hard to get the ball inside, and it looked like we thought we needed a 3. Now, maybe that isn't true, but however you look at it, we had a shot to win and did not get off a high percentage shot. Let's take a closer look. First, the game flow. As you can see, we avoided falling into a hole in the first few minutes and battled Albany pretty close the whole way. They had an 8-point lead late in the first half but BG roared back and ended up just down 1. As you can see, the second half was close the entire way. Now, looking at the stats, this is a lot more of what BG looks for. First the game ended in the 50s. In a related story, Albany shot 34% from the field and 24% on the 3-pointers. They were a 3-point heavy team, and Coach specifically mentioned our ability to guard the perimeter in the 2-3 zone as a key to the game. BG actually shot better than normal, 43% from the field and 57% on 2FG. We shot 19% on 3s, continuing a season-long trend. It was a 61 possession game with both teams getting about .9 points per possession which again is something that gives us a shot at winning. Albany hit only 4-11 free throws, keeping us in the game. Of course, we shot 5-10. We only committed 14 fouls against the 27 that we had against Detroit. What eventually cost us the game was rebounding. As you can see in the chart below, Albany got way too many offensive boards, giving them second chances when our defense forced them to miss, and in a game that ended up on a knife's edge, that was the key difference. The other, of course, was that while BG had one more FG, Albany had 4 more 3s. Individually, Cam Black had a double-double. He looks like a good player. He didn't lose his composure after the foul call and he is getting tougher on the inside. He is still a little inconsistent but he is also a freshman. I assure you of this. We have not had a C like this before. Scott Thomas had 13 points, 6 rebounds and 6 assists in another very complete performance. Dee Brown added 12. If you tried to chart playing minutes for our guys, you would find some wild variations. Jakubowski only played a little against Niagara, but tonight he got most of the minutes and Crawford didn't play very much. I am only assuming that we are trying to find some kind of mix and combination that works for us. Coach said after the game that we played better each night in Detroit, and I think that was true. He says we will get there. I hope that's true. Luke Kraus was getting a lot of minutes, and today he played 3 and Erger got 9. Anyway, here's to assuming there is a rhyme and reason to all that. We have a pretty tough assignment next Saturday, but we do get to come back with some winnable games. I think it would do this team wonders to get a win and some confidence, because it has been pretty discouraging to date. OK, so a final look back at how our football NON-CONF opponents finished the season. Tulsa ended up having a really nice season, going 9-3 and ruining SMU's season with a victory to close the campaign out. Marshall beat Tulane in Huntington to finish 5-7 and winning 4 of their last 5 games. Troy creeped into bowl eligibility with a win over WKU. They are 6-5 and play FAU next Saturday. Michigan lost Saturday, in case you didn't pick that up. So, in the finale of the Legends Classic the Falcons will return to Calihan Hall looking to salvage a win against the Great Danes of Albany. Love this logo...love it. Anyway, remember when you did something like this in philosophy class? Albany is favored to beat Bowling Green. I think I got a C, BTW. And luckily, this has nothing to do with logic. Albany is probably the surprise of the tournament. They took the hosts to double OT and then beat Niagara by 10 last night. They are 2-5 this year, coming off a 7-25 season last year. In recent memory, they did make two NCAA tournament appearances, but they were not expected to have a strong year in the America East conference. They have beaten Farleigh Dickinson along with Niagara, and lost to Georgia Tech, Iona, Detroit, Cornell and American. One reason for the improvement could be that their PG Mike Black is back from injury, and he gave them a lift with 19 against the Purple Eagles. They also have Logan Aronholt and Tim Ambrose both of whom like to shoot the ball. Together, they have just over 50% of Albany's shot attempts this year. Aronholt is averaging 19 a game and Ambrose (shooting 55%) is averaging 16. A major worry for this game has to be defending the perimeter. They are shooting 43% from beyond the arc, and given BG's ongoing struggles defending the perimeter, this has the potential to be a game breaker. They play at 64 possessions per game, which is pretty slow. There might be an opportunity for BG to up the tempo a little bit. They seem evenly matched with BG on the boards and in terms of turnovers, but they are terrible at the free throw line. Finally, they are not a great defensive team, allowing 1.1 points per possession and an effecting field goal percentage of 48%. So, maybe this is a game where BG scores some baskets. A few more wrap up points from the Titans game. One thing I neglected to mention last night is that the Titans shot 48% from the field, which is much higher than we would like to see, I'm sure. That includes 55% in the second half. BG committed 27 fouls and Detroit had a 9-point advantage on free throws alone. Luckily for BG, they shot them poorly. Detroit his 33% from beyond the arc, getting well on that front against the Falcons. BG played a zone most of the game. I'm wondering if the man-man experiment is going as well as last year. BG shot 45% in the second half, so maybe the Falcons are a second half team. We scored 38 points in the second half. Oglesby had 8 points and 7 rebounds in 14 minutes. Both teams defended their defensive boards pretty effectively. Here's the four factors. Probably tells the story pretty well. It was a very uptempo game with 75 possessions. BG's offensive output "improved" to .83 points per possession and Detroit got only .95. 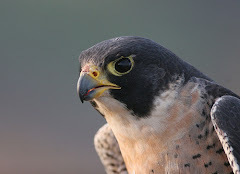 Falcons Lose to Titans---Growing up? The Falcons dropped another one at Calihan Hall tonight...not much information out yet, but some quick impressions on the game. Coach Orr said after the game that we might have grown up a little tonight. We didn't play well enough to win, but we did give him longer stretches of what he wants to see than we have been. He also said that we have guys who are trying to find their way and their role on the floor. That was the impression I came away with pretty strongly. For long stretches, especially in the first half, this was team that had no idea what it was doing with the ball. Coach kept shuttling guys in and out, but no one seemed to want to attack the basket and we absolutely could not shake free against the Detroit defense. Eventually, it did turn around and we did score. The biggest individual story was Dee Brown, who had a career high 22 points in front of his hometown fans. A lot of them were sitting around me, and they were very proud of him and rightly so. There were a couple of other nice stories. Torian Oglesby had a good game for the second game in a row. 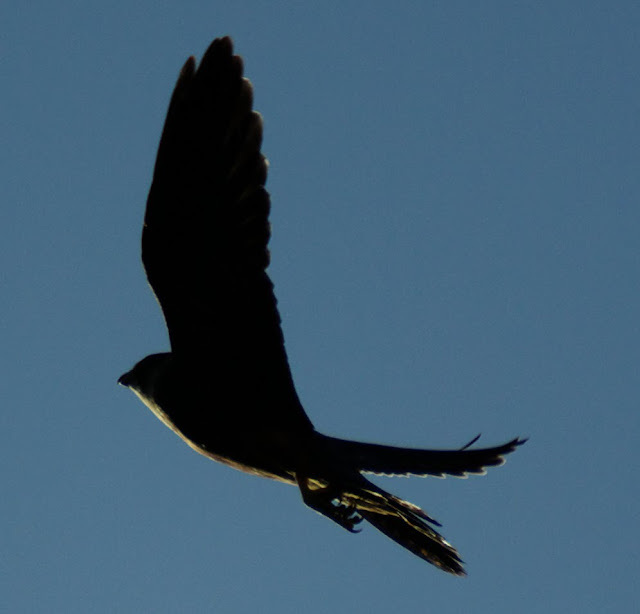 He's a lot more athletic than I anticipated and can really get up in the air. I think he is making good use of his minutes. And then Mike Dabney, walk-on, came in and gave some real energy and some spirited minutes against what is a very big Detroit team. We certainly had plenty of other guys who struggled. We did fight and stay in the game, however, and really, from the time when Detroit scored the first 8 points, the game was even. We even did a little bit of running, though it seemed like we missed chances to advance the ball with passes to players with a lane to the basket. More tomorrow when there is more information. BG plays Albany tomorrow at 3. TITANS! What is your profession? OH. That's the other guys. Never mind. 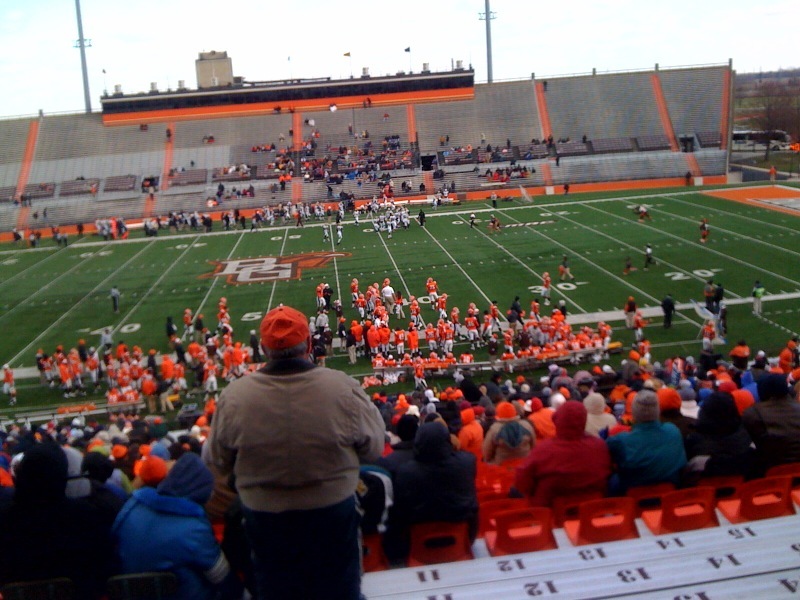 So, next up is the Detroit Titans, a common BG opponent. This will be an interesting one. It is a true road game, though I don't know what kind of following the Titans will have on this Holiday weekend. Anyway, here's a few things about the Titans. First and foremost, they did beat Albany last night. That was technically a home game too, FWIW and there were about 2,000 people in attendance. 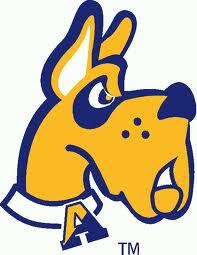 The Albany Great Danes (swear to god) took them into double OT before losing. Having to come back the next day after playing double OT and BG had the early game is a slight advantage to the Falcons. Anyway, Detroit is coached by Ray McCallum, MAC great and a proven head coach who has won at BSU and Houston. He was at Indiana during the Sampson debacle, and now is rebuilding the program at UD. You'd expect that he will succeed here and move back up again, but time will tell. He has one of the top recruits in the country, one Ray McCallum Jr, who is at UD on the Trey Zeigler plan. He's not off to a great start, but is one of 5 players averaging double figures for the Titans. Eli Holman is their best player. Holman is an Indiana refugee who is averaging 17 points and 11 rebounds and shooting over 60% from the field. At 6'10" he is a legit post and we're going to have to have our best interior D. We may not see the rebounding numbers we did last night. On the other hand, Albany rebounded reasonably. Detroit was picked to finish 4th in the Horizon conference. College Basketball Prospectus called them "all paint and no perimeter" because of the extreme lack of 3s they shot last year, and while they are shooting more this season, they are actually worse than BG percentage wise. So far this year, they are 2-3, but the Albany win was their first D1 win. They have played a tough opening schedule, losing @New Mexico, @Syracuse, and @Mississippi State. They play a typically upbeat style, with 72 possessions per game, which is slightly more than Duquesne. While they are known for defense, their defensive profile is very similar to BG's this season, though, they have played the 67th ranked schedule. They are susceptible to the 3, so many this is where BG points it together, though I think it is more likely that you'll see old-school 2-pointers. They play mostly a six-man rotation, which is tough when you have double OT. Three of their players played more than 44 minutes last night. 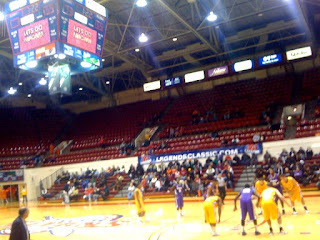 We played Detroit last year, also at Calihan Hall, and the Titans won 73-69. BG rallied from a large first half deficit to play a very tight second half before falling. BG averaged more than a point per possession which is a good benchmark for us, and lost the game primarily because UD outrebounded us pretty seriously. Just a quick "review" of the Niagara game, which I did not see, so keep that in mind. I did hear the last 10 minutes or so when I got home from the football game. Anyway, BG seemed to play a much more energetic game and stayed with what I think is a pretty decent Niagara team. We dropped down 7 in the final minutes but battled back and had a shot to tie the game in the last minute, but Kraus' 3-ball ended up pretty much like most of our 3-balls, which is to say as a rebound, and Niagara pulled it out. Now, if you were looking at that, you'd see that Niagara shot a lot better than BG did, handled the ball better, and did better at the free throw line. How, in fact, was it a close game. Check out that offensive rebounding line for BG...the Falcons picked up HALF of their missed shots with an offensive rebound. Coach Orr even joked a little about that in the post-game, when he said something like "if you are going to miss a lot of shots like we do, you have to crash the boards." The offensive rebounding gave us enough second chances to keep the game close. Beyond that, we even missed a lot of the follow ups and if we hit those zero footers we probably win the game. A few notes that are apparent as I look at the sheet. We averaged .89 points per possession, which is just slightly better than normal, and shot just about as poorly as we typically have. Furthermore, we didn't defend all that well....Niagara averaged .95 points per possession, which is also slightly better than we have had. We did hold them in the 60s, however. We are 330th out of 345 teams in 3-FG%. (The good news? Today's opponent, Detroit, is even lower). We did shoot 45% from the field in the second half, so maybe that's starting to come around. We can't shoot this badly for a whole year, and we do have guys who can shoot. Jordan Crawford played 34 minutes, and while he did not score like he did against Duquesne, he did have 8 assists and only 3 TOs. Joe Jakubowski played 6 minutes. Danny McElroy did not play at all. Torain Oglesby played his first minutes as a Falcon. Coach said he had to earn "trust" to get into the lineup. He was a nice addition, with 10 points and 5 rebounds in 27 minutes. Cameron Black had 10 points and 9 rebounds in just 23 minutes. He's going to be a good player, especially as he learns to finish around the basket. Scott Thomas had 10 points, 8 rebounds and four steals. Calhoun only played 17 minutes, but he had 8 points and 6 boards in that time, including a clutch old-school 3-point play in the final minute to move the game within 1 point. In general, the game was a sign of progress, but still a loss. It would be great to see some continued progress over the next two nights, and maybe even a couple of wins. We are not playing as well as we hope on either end of the floor, but it was at least a small step forward. 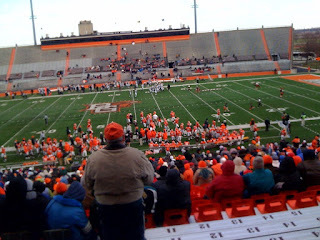 The football season ended today at the Doyt with BG getting completely annihilated by the WMU Broncos, 41-7. It was a cold day and very windy, but despite all that, WMU simply picked us apart on offense and we had nothing on offense. It was a very difficult finish if you are looking to build hope for the future...that doesn't mean there isn't any, it just means that it is hard to see much of it from what happened out there today. This is our first 10 loss season. It is our first season with 2 wins since 2000, the year that ended the Blackney era. For the last 3 games of the season, we failed to get a first down in the first quarter in any game. Today, the first first down was inside of 10:00 left in the second quarter. At that point, WMU had 27 points. We haven't won 1 conference game since 1988 and before that it was 1970. We lost by 34. #4 ranked Boise only beat us by 35 last season. Usually, I take a long look at the stats from the game, but not this time. The final game stats show an evenness which is not an accurate reflection of the carnage that was out there. BG even finished with more first downs than WMU had--you know that has to be misleading. Simply put, they dismantled us in every way possible. When it was needed, they moved the ball at will, seemingly making a first down on every play. As feared, we had no answer for Nunez and White, especially White, who seemed to get open at will. Instead, I'm going to take a look at what Coach Clawson said in the post-game presser. Beyond thanking the crowd (as mentioned in previous post), he was very candid. It was a disappointing way to end a disappointing season. We made no progress in "a lot of areas." I appreciate the candor. This is the thing that worries me most about the program. I expected a difficult year. Maybe not this difficult, but a difficult year. That's all well and good, it happens. One of the things you enjoy about a year like that is seeing the team get better every week and hopefully finish the year playing well. This team finished playing worse than it started, and the mistakes which plagued us early plagued us late. He said that we struggled since Marshall on offense and on defense we give up big plays and tackle poorly in the secondary. Going into the year, his two biggest concerns were the O-line and the defensive secondary and those things "haunted" us all year long. Note that he was worried about the O-line before Walker, Lewis and Bojicic were injured. We have to get a lot better, especially in those two areas. One thing he noted is that just because young players get time does not mean they will become good players. As an example, I'm thinking of a young defensive back who played as a true Fr. last year but did not play much this year, despite the problems in the secondary. He talked about Matt Schilz, using the words "uneven" and inconsistent. He did note that given the issues on the line, it would have been hard for Tyler Sheehan to QB this year. One thing he said that he has not said before is that Schilz was never healthy after the Marshall game and could not throw the ball in practice. This would account (it seems) for some of the timing and execution issues that hurt the offense. He said that Schilz does not trust the pocket and he doesn't set his feet. My note: I know a lot of fans wonder if Schilz is the long-term guy and whether the backup might not have been worth a try. If they were playing Schilz every week without practicing, they had to be pretty sure he was the guy for this year. He reiterated: we have to get "so much" better on the O-line, just to be competitive. Early in the year, we hid the weakness behind screens and delayed draws, but then the defenses took that away and forced us into plays you had to block and we could not. Willie missed the first quarter as discipline for missing a meeting. The defense got better 4-man pressure than normal and made progress during the season. Only 3 offensive starters were not injured. There is no easy part of any of this. The team will need to work hard. They need leadership, physical gains, and to get more talent into the program, including the 20 redshirts. He noted that he had been "here" (meaning having a terrible season) twice before. We will look at that in a post next week. So, the season ends in sad fashion, with blow out losses to two good but not great MAC teams. At 2-10, it is among the worst 10 seasons in our school's history. I am not too discouraged because I think we are headed in the right direction. But, there is a lot of room for improvement, and we're going to see what we are made of next season. Of course, more reviews of the season, the senior class, the recruiting, etc, will be done in the coming weeks. Anyway, that was thoughtful. The program does have loyal fans, and we look forward to seeing this team grow next season. Miami made the turnaround, so can we! disappointing day in the nation. 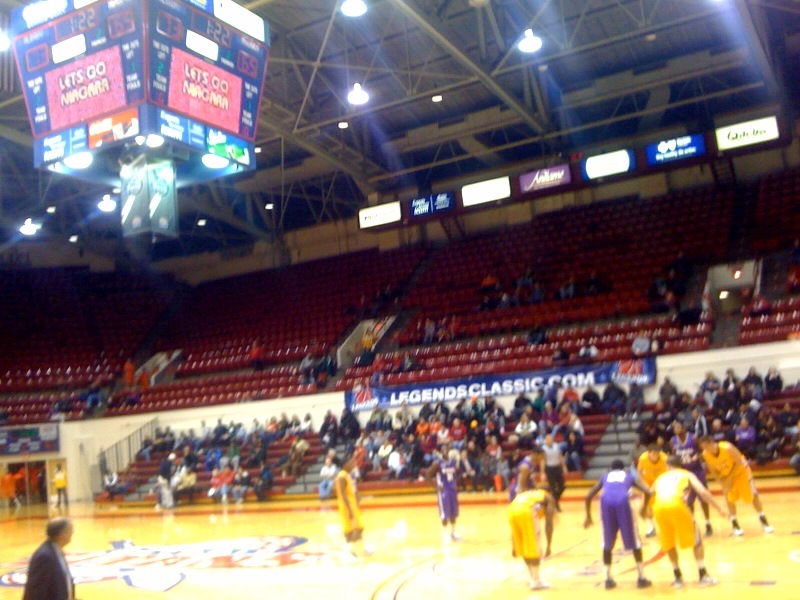 So, now the Legends Classic moves on to Calihan Hall in Detroit, where the Falcons will play three games in 3 days. Two of these games represent excellent opportunities to right the ship. We'll look first at Niagara. Niagara is the youngest team in D1, based on statsheet.com. Of their 8 players who have minutes, only one is a junior and none is a senior. Four are freshmen. (As seen below, their only senior has yet to play, so they would expect to play as a less young team starting soon). They're 1-2 on the season. They lost at home to UMW (by 17), and then one on the road to Georgia Tech (by 16). They beat Mt. St. Mary's by 2 at home. Mt. St. Mary's (known unfortunately as "The Mount") is an upper level team in the Northeast Conference, so that's at least a respectable win for Niagara. Their best player was supposed to be Sr. Anthony Nelson, but he took a ball to the face and has yet to play this season. He is expected back for the games in Detroit, based on this article in the Niagara paper. Freshman (what else) Marvin Jordan has stepped in and played well in his place, especially in the win over Mt. St. Mary's. Nelson is a good one who gets to the hoop and is a very strong passer. Kashief Edwards is a talented swing man, and Antoine Mason is a freshman guard who is leading the team in scoring. Because of the unevenness of their schedule, it is hard to tell exactly what to expect. Their numbers are very good against the Mount, OK against UWM, and obviously were smoked by Georgia Tech. They play at about 70 possessions a game, which is more upbeat than BG has typically played. On the stats sheet, the game is pretty even, as seen below (courtesy statsheet.com). Niagara is a 2-point favorite. Niagara does not bring a really big man and they are young. We should be able to compete with them but they are certainly not an pushover. They are well coached. Joe Mihalich is now in his 13th season. He has been conference coach of the year twice, and has taken the club to the Big Dance twice and has one win. Their rep is typically to play an upbeat style and score, for whatever that is worth. This has been a pretty disappointing season for WMU. They were expected to compete in the West, but are now 5-6 and 4-3 in the conference. They can point to some serious injuries, but their wins this year are over Nicholls State, EMU, Ball State, Akron and Kent, with only Kent representing an even marginally quality win. They also lost to their arch-rival CMU in a year when they probably thought they were going to even the score a little. WMU has the best 1-2 combo of WRs in the MAC. Jordan White is tied for fourth in receptions per game and Juan Nunez is 6th. White is also 4th in receiving yards per game. Lewis Toler is 9th in interceptions. They are +1 for the year. Much like Bowling Green, they have created a lot of turnovers and given them right back. They are 2nd in scoring and tied for 2nd in yards per play. They are not a great rushing team--they are 7th in yards per rush. By process of elimination this has been covered above. They are a very strong offensive team, and they don't run, so it must be passing. Their QBs and WRs are very productive. They pass the ball on 59% of their downs, which is very high in college football today. They score 4.63 points per red zone trip, which is below the national average and 8th in the MAC. This has worked because they have gotten to the red zone 50 times, 2nd in the MAC. Their 37 scores have included 31 TDs. They have been stopped on downs 7 times, most in the conference. This is a downside for the team. They have given up 28 sacks which is 6.6% of their passing attempts, which is a lot. (Their negative play rate is 8.5% on passes, which is about the national average). It is easy to be pessimistic on this. UT came into BG with an average MAC conference and lit the BG defense up pretty good. WMU comes in with a very strong attack. If the results are similar, it will be a long day. Most importantly, BG needs to keep those 2 WRs in front of them...if the Broncos spring a couple big plays and make us play from behind, that's going to be very difficult to overcome. They are 7th in scoring defense and 9th in yard per play allowed. They are tied for 8th in yards per carry against. They are 6th in passing yards allowed and 9th in passing efficiency allowed. They are 7th in the MAC, at 39.2%. They are very good in the red zone. They have allowed only 4.06 points per trip, which is second to the MAC and only by a little. They have allowed 27 scores but 10 of those are FGs. They have 4 stops on downs. They are very good--4th in the MAC. What we have here is an average defensive team--but better on paper than the Rocket team that pretty much locked us down last week. They are very banged up on defense, but BG is going to need to get some points to keep up with the WMU attack. They held Kent to 3 points in their last game. They are 5th in the MAC in net punting with no blocks and no TDs allowed. They are 9th in punt returns, with no TDs. They have blocked one punt. Their kicker is John Potter who is 8-10 with a 42 yard long. He's only tried 10, and we've established that they like to go for it, so they either figure they need all the points they can get or they don't trust Potter. They are very good in this area, starting their opponents on their own 23. They have allowed 1 TD. They are 3rd in the MAC in this area as well, with a 1 TD. They typically start on their 28. There are a few things. First, who is still playing hard? Neither team has very much to play for. WMU certainly showed up in their shellacking of Kent and BG has senior day. I'd like to think we will see a competitive game. WMU has a long-shot chance at a bowl game with a win, but I don't think there's really any way they make one. WMU has a much shorter week. They played Kent on Saturday, while BG played Toledo last Wednesday. You'd think this would be a nice advantage for the Falcons. There was a time when I was confident we'd at least have a shot in a shoot-out. I'm not sure this is the case this year. 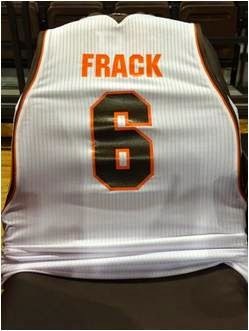 Something will have to break for BG to win. This team is, play for play, as good as UT. Well, as discussed and debated on the MAC Blogger Roundtable throughout the season, Kent's HC Doug Martin is resigning. He brought good players to Kent, but never turned the corner. He battled some bad luck, especially with injured QBs and with RB Eugene Jarvis, and whoever gets the job will have a lot of returning players. Pete Retskis, the current DC and architect of that nationally ranked Kent defense. Wake Forest offensive coordinator Steed Lobotzke. Ohio State assistant head coach Darrell Hazell would also be a good fit if KSU could afford him. In other news, Ball State also fired Stan Parrish. He was in the second year of a four year deal. I find this a little surprising. Granted, the Cards have sucked wind since Hoke left, but they did lost some pretty good players, and had that injury to Dante Love. Counting BSU and K-State, he is 8-49-1 over his last fiveish years of Coaching, and as a D-1 coach. Eddie Faulkner is the interim coach and will seek the main job, though this strikes me as a situation where you could want someone outside the program. Footballscoop.com is mentioning Oregon offensive coordinator / quarterbacks coach Mark Helfrich which would obviously be a huge get. I'd have to think he can do better, given the Oregon offense. The Muncie Star-Press had some of the following names, based on people with BSU connections. Jeff Hecklinski, assistant head coach/running backs coach/recruiting coordinator past two seasons at San Diego State. Rick Minter, linebackers coach, Indiana State. Interim head coach at Marshall at end of 2009 season, led Thundering Herd to a win in the Little Caesars Pizza Bowl. Was defensive coordinator at South Carolina and in two stints at Notre Dame. Mike Neu, former star quarterback at Ball State. Currently in second season as an area scout with the New Orleans Saints, evaluating college players in the northeast U.S.
Bernie Parmalee, Ball State's all-time leading rusher when he finished his career in 1990. Currently tight ends coach for Kansas City Chiefs. Brian Polian, special teams coordinator, Stanford University. Happy Thanksgiving to everyone in the Falcon Nation. I believe today is our most spiritual day. The act of giving thanks is humbling and enriching. We are privileged to be able to spend our time as fans, on something that makes us happy but which we do not need to live. Even in hard times, our quality of life is something which would have only been dreamed of for most of history. Well, it wasn't a very good day on Monday for the Falcons. There isn't much to say beyond what Coach Orr said after the game, which is "we are not a very good basketball team right now." And, the evidence certainly bears that out. As you can see here, they blew out a 24-16 game and went 66-38 over the game's last 26 minutes for an easy win and a pretty bad way to lose on your home floor. The chart below pretty much tells the story. When you turn the ball over on one-third of your possessions and then shoot only 27% when you do get a shot off, that's a scenario that is very unlikely to end in a victory. More: that's 22% on 2-FG. We made 5. The defensive end wasn't a lot better. Duquesne shot 60% from the field, 40% from beyond the arc, and got 46% of their available offensive rebounds. It was among the worst statistical performances in memory and we weren't playing a Sweet 16 quality team. There's actually more. The game was played at Duquesne's pace, which is 71 possessions per game, meaning that BG scored 54 points in an uptempo game. BG scored .76 points per possessions. That less than the .78 against UM. Together, those two games would have been among our five worst of all last season. The turnover % is worse than any game since we played Findlay in 2003-04. These are not good times. This team is really struggling, primarily to score points, but also to defend. Not meant as criticism--its just self evident. The good news it that there is time before the conference season comes along, and I do think we have some good players. But, they're a long way from being a team that is going to compete in the conference. Go Falcons! Beat the Rockets! Time to beat the Rockets!